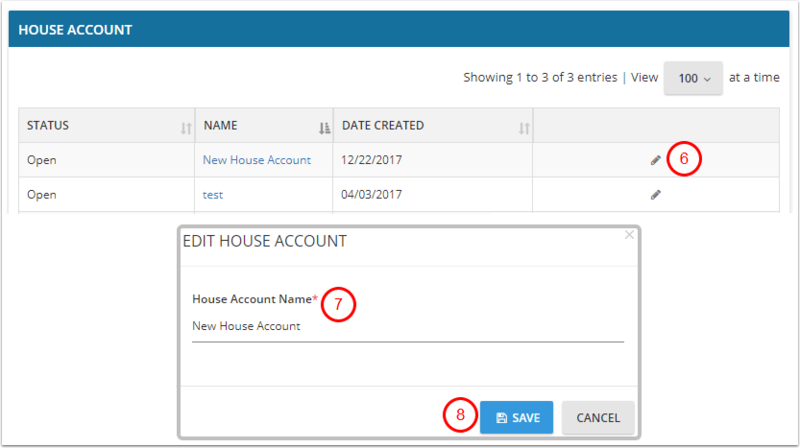 This article will walk you through the House Account functionality in Myfrontdesk by Cloudbeds. 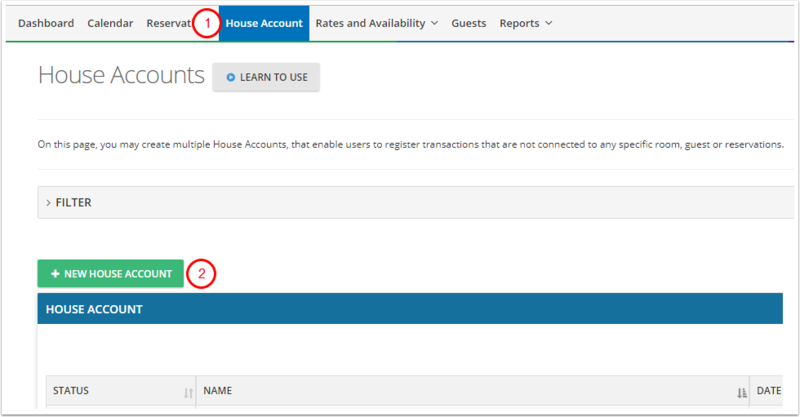 On the House Account page you may create multiple House Accounts that enable users to register transactions for items that are NOT connected to any specific room, guest, or reservation. 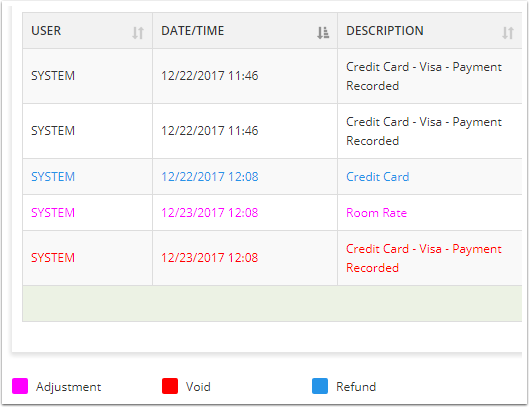 This functionality allows you create multiple House Accounts, which enable users to register transactions that are not connected to any specific room, guest, or reservation. -You can not delete a House Account. Users with the specific permission enabled may only close the account. 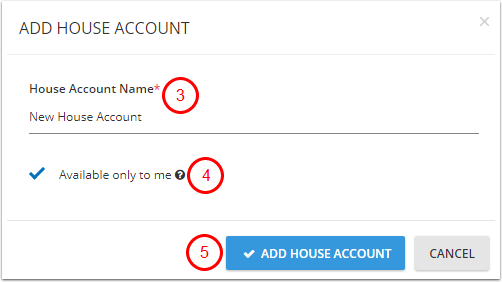 If this checkbox is selected, only you will be able to access this house account. None of the other users will be able to view this account. 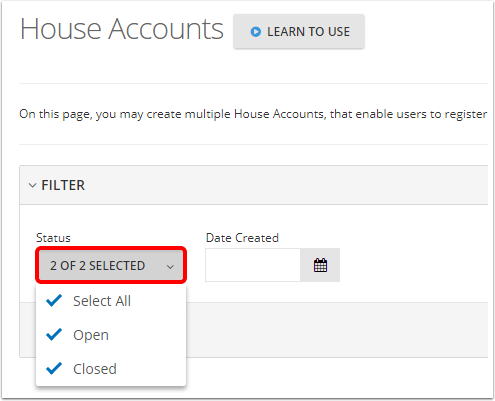 The house account will appear on House Account page.